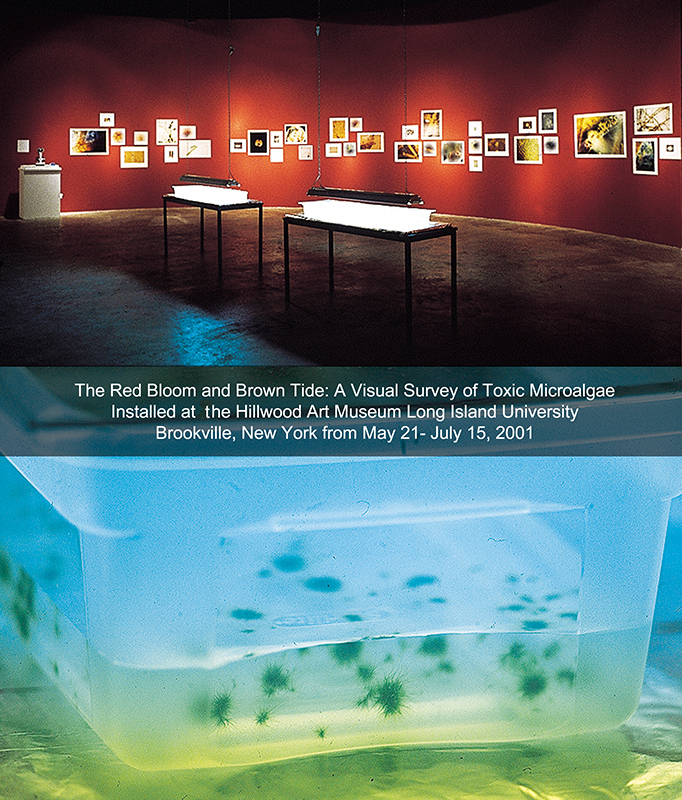 A collaborative project with microbiologists Patrick Dooley, The Brown Tide Research Initiative, S.U.N.Y. at Stony Brook Christopher Gobler,Microbiology Department of L.I.U. South Hampton Campus Larry Liddle, Microbiology Department of L.I.U. South Hampton Campus John Sperling, Microbiology Department of Queens College www.greenmuseum.org/ballengee. Exhibited at The Hillwood Art Museum Long Island University Brookville, New York from May 21- July 15, 2001. Mixed media installation including 12 cultures of varied live algae, 60x-1200x duel eye electric microscope and 48 unique iris prints. Overall installation size 90 foot long half-circular room by 25 feet tall. 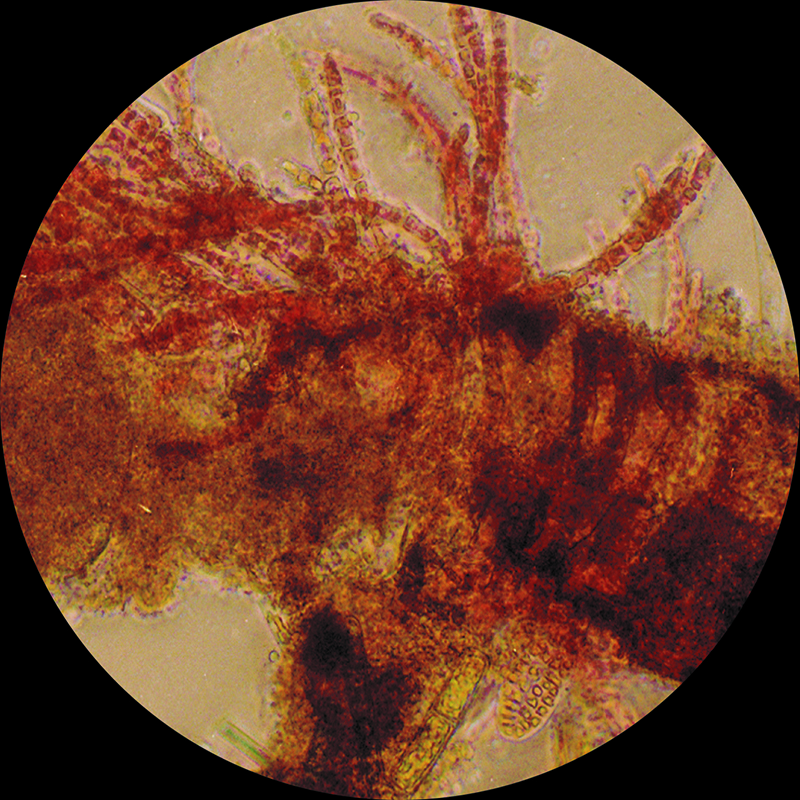 Among coastal issues facing the world today, harmful algal blooms (HABs) stand out as one of the most scientifically complex and globally relevant. Historically in the U.S. only a few regions were affected by HABs, but now virtually every coastal state has reported major blooms. These blooms may be responsible for more than $1 billion in losses in the last two decades through direct impacts on coastal resources and communities. HABs can cause human illness and death, alter marine habitats through shading and overgrowth, adversely impact fish and other marine organisms, and close many coastal businesses. The list of affected resources is growing but our understanding of the biological, physical, and chemical processes that regulate HABs is presently inadequate to cope with the problem. 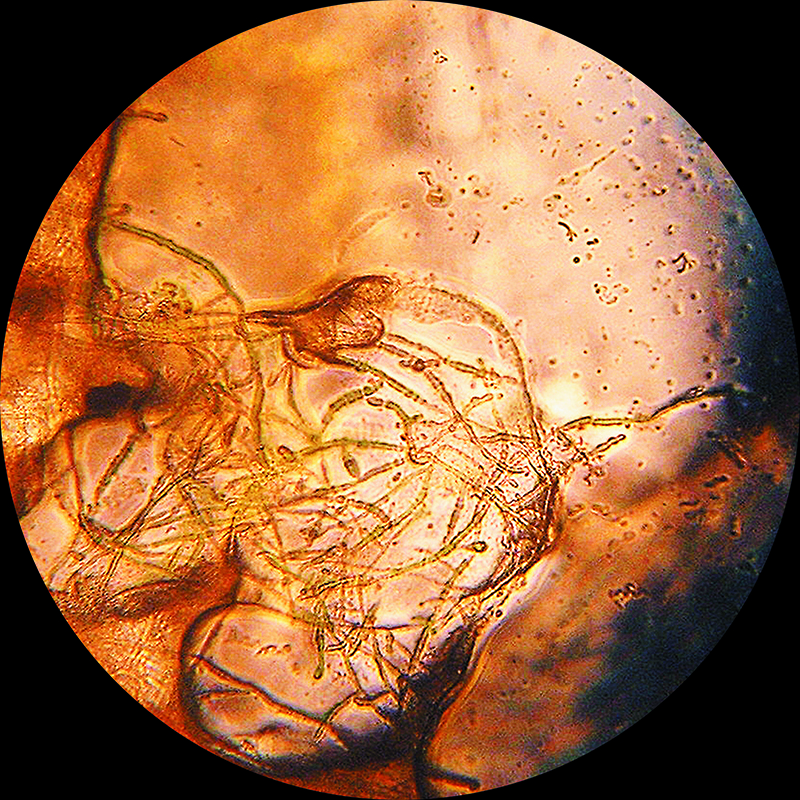 Harmful algae are microscopic, single-celled plants that live in the water. Most species of algae or phytoplankton are not harmful and serve as the energy producers at the base of the food web, without which higher life on this planet would not exist. Occasionally, the algae grow very fast or “bloom” and accumulate into dense, visible patches near the surface of the water. 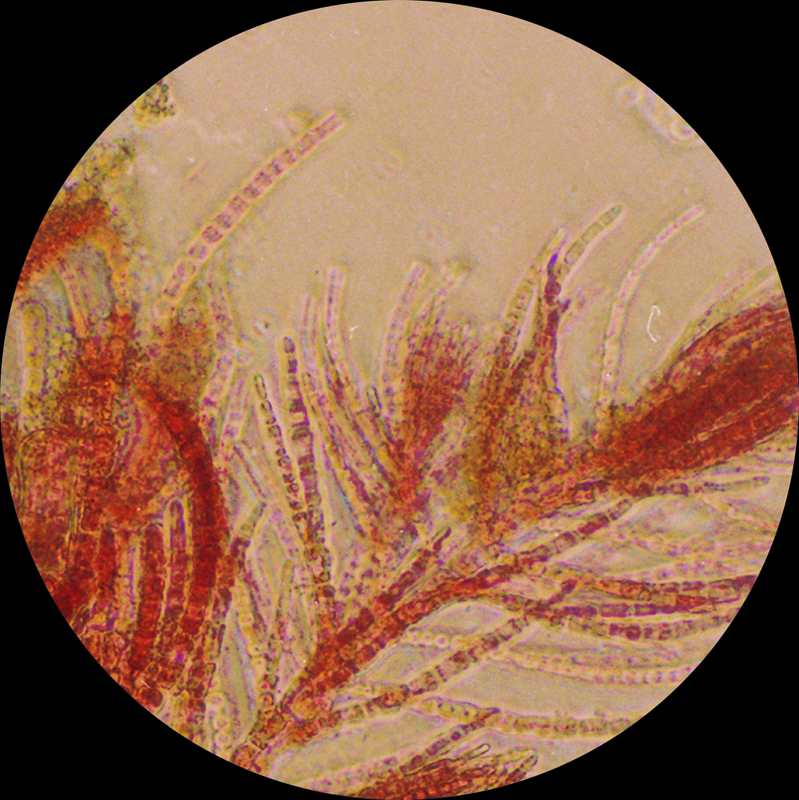 “Red Tide” and “Brown Tide” are common names for such phenomena where certain phytoplankton species contain reddish pigments and “bloom” such that the water appears to be colored red or brown. 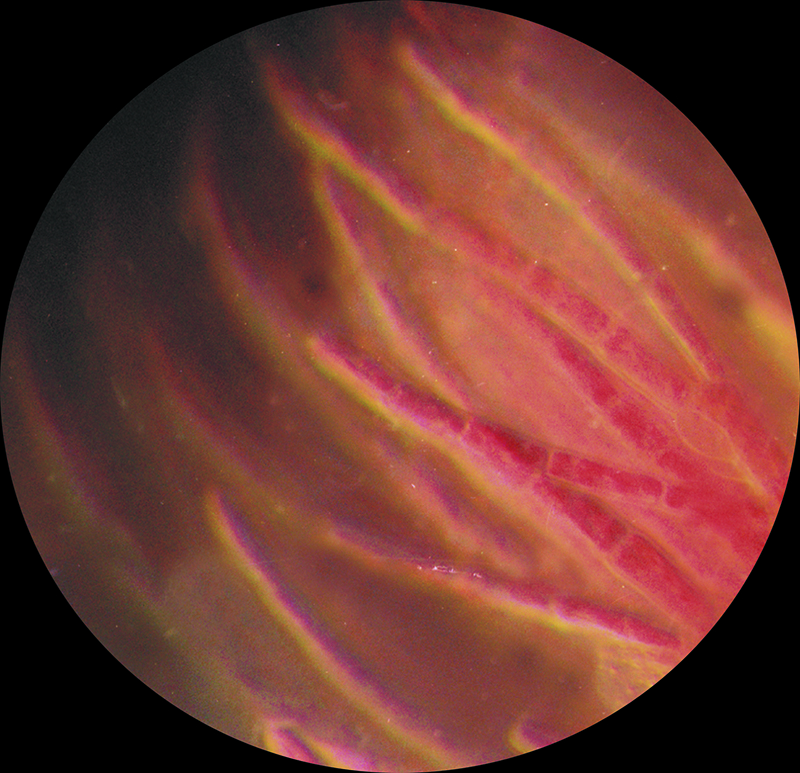 In May of 2000, I began documenting and attempting to culture a variety of harmful microscopic algae. 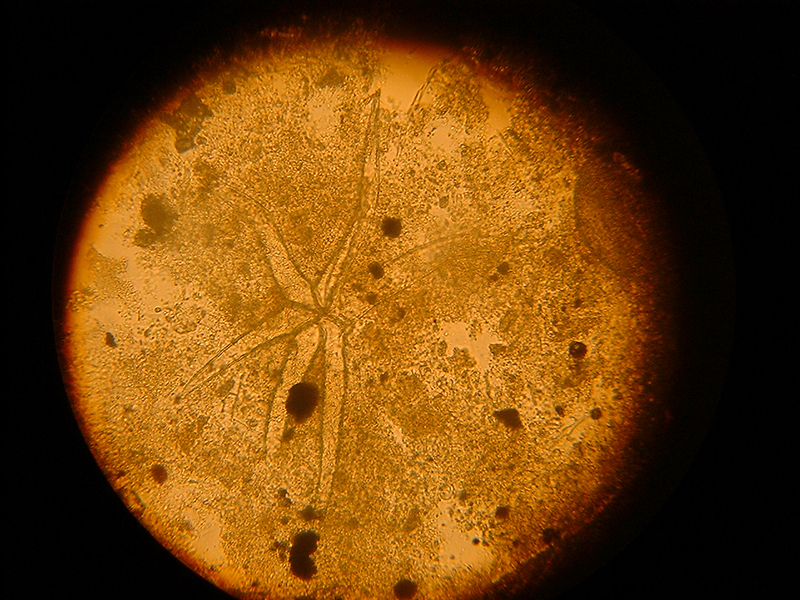 The species were field collected in both fresh and marine waters throughout the United States and in other cases species samples were sent by Harmful Algae Bloom (HAB) researchers. The images included both harmful as well as innocuous algae. A few of the images used in the installation were of cyanobacteria (formerly known as blue-green algae), and unidentified bacteria and fungi that contaminated a number of my earlier cultures. Among coastal issues facing the world today HABs stand out as one of the most scientifically complex and globally relevant. HABs can cause human illness and death, alter marine habitats through shading and overgrowth, adversely impact fish and other marine organisms, and close many coastal businesses. The list of affected resources is growing but our understanding of the biological, physical, and chemical processes that regulate HABs is presently inadequate to cope with the problem.